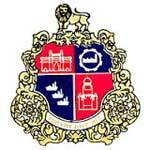 Brihanmumbai Municipal Corporation Recruitment 2018 – 1388 Labour Posts:-Brihanmumbai Municipal Corporation (Municipal Corporation of Greater Mumbai) has published latest notification for filling up 1388 posts of Room Attendant/ Hamaal/ Aaya/Multipurpose. Desirous & eligible candidates can apply online from 11/12/2017 to 31/12/2017. Age Limit as on 30/11/2017. Educational Qualification: 10th Class pass from any recognized Board.. Application Procedure: Eligible candidates may apply online through the website http://portal.mcgm.gov.in from 11/12/2017 to 31/12/2017. Subscribe our free job alert mail for Brihanmumbai Municipal Corporation Recruitment 2018.